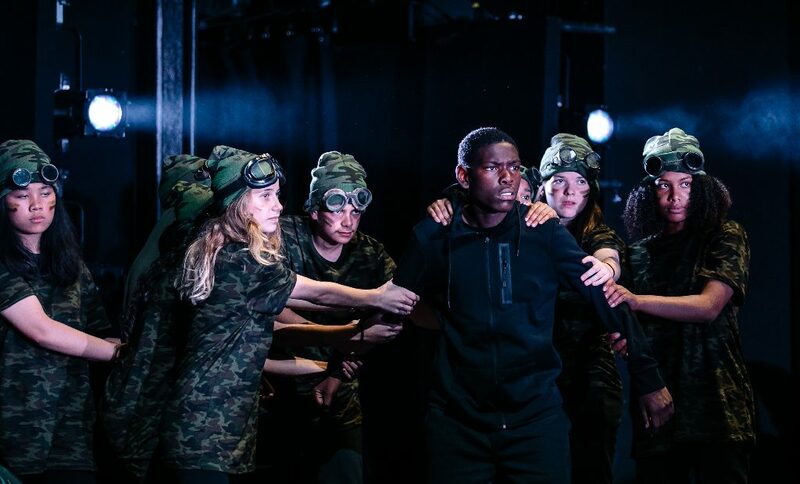 Connections Festival 2018 at the National Theatre aims to bring together young talent, and the cast of Sweetness of a Sting are certainly young. Performed by Haggerston School, the play tackles the definition of home. Opening with a bongo solo – the way to set the scene of any Nigerian-themed story – the main group are introduced in a series of comedic Vogue-like shots. The dancing is energetic and brilliant. Indeed, this is what friendship goals are. Instantly, Badger (Jass Beki) is identified as the one who is different. We are also presented with the idea that teenage boys actually watch makeup tutorials – well, for the “better eyebrows”, nothing to do with the female hosts. Badger aims to break out of his monotonous routine when confronted with the idea of returning to Nigeria, and so he enters a dream-world, reminiscent of Alice in Wonderland – there is even a queen (Dorcas Adelaja), though the characters are not trying to violently murder him. The lighting and set are used expertly to reflect the different groups that approach the protagonist, with darkness, intermittent flashing lights and the professional, cohesive movement of the entire cast, which puts some dancers to shame. First, the teenager meets the spiders. While trying to ask for advice, he gets trapped in a web of stories that are incomprehensible. We have all experienced this when travelling to a different country. However, they treat him nicely, as a friend even, which demonstrates the fact that people of differing cultures can be genuine, despite being unable to communicate. Ants are next, and more communication issues ensue. They rhyme expertly, better than most rappers, thanks to the writing of Chinonyerem Odimba. Ladybirds are the sassy ones, and a line stands out: “If you’re not one of us, then you are a stranger”. This reflects the mindset that most have, and it is revealed that our main character has been sent there to challenge that. Badger is needed to tell the queen the full story. The play is all about misinterpretation, and how things are lost in translation. There are two sides to every tale – or in this case four – and only when everyone works together can the full narrative be told. This is certainly an enjoyable hour, a perfect blend of comedy, without the cheese, and drama, without the overacting. Packed full of sweet metaphors, Sweetness of a Sting is a must watch for those interested in using their brain. 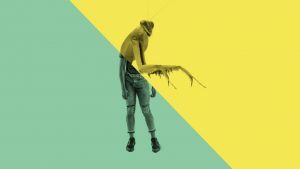 Sweetness of a Sting was at the National Theatre on 27th June 2018 as part of the NT Connections Festival, which runs from 26th until 30th June 2018. For further information or to book visit the theatre’s website here.